Pastor Hal Johnson, Sr. is the founder of Christian Stronghold Church and has served as the Senior Pastor since its inception. He holds degrees from Widener University (B.A. Business Administration) and Dallas Theological Seminary( (Master of Biblical Studies). 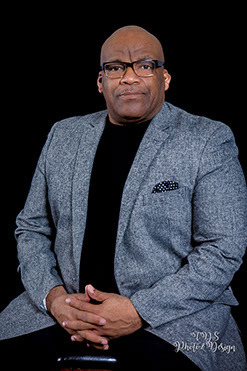 He served as the African American State Consultant for the Baptist General Convention of Texas where he worked with twelve associations across the state to plant over 75 predominantly African American churches in five years.ry (Master of Biblical Studies). A native of Vineland, NJ, Pastor Johnson is married to his childhood sweetheart, Sheila, and they are blessed with three children, Nicole, Terrina and Hal Jr.
Pastor Johnson is a gifted and faithful teacher whose messages combine sound, Biblical preaching and practical, candid application. His extensive historical knowledge provides context, insight, and understanding as he encourages his listeners to join him in becoming a student of God’s Word. Committed to missions and ministry, he founded Stronghold Community Development Corp. and Keep the Faith Ministries, and is dedicated to building strong communities and helping small churches develop leaders.